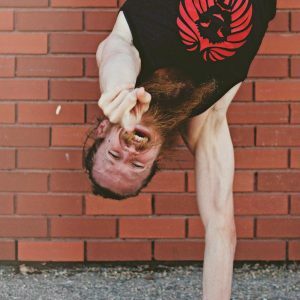 Passionate and inspirational, Ryan Leier brings a creative energy to every class he teaches; whether in his own One Yoga studios or as an ambassador of yoga to communities around the world. With a distinct expression of ancient traditions that touches his students’ hearts, Ryan’s commitment to honouring his teachers leads him to be equally devoted to continuing his studies as to teaching. Ryan is primarily a student of the Krishamacharya yoga lineage having received teachings directly from the Master, Sri BKS Iyengar and the Ashtanga Guru, Sri K. Pattabhi Jois. Registered as an E-RYT 500, RCYT, the highest designation with the Yoga Alliance, Ryan also trains with the extraordinary teachers Father Joe Pereira (Iyengar Yoga); Baron Baptiste; Dina T; Danny Paradise; Eddie Modestini and Nicki Doane (Maya Yoga); and Srivatsa Ramaswami (Vinyasa Krama). Ryan is rooted in local sacred teachings, and he regularly studies and serves the Elders in his home province of Saskatchewan (which comes from the Cree word kisiskaciwani-spiv meaning “swift flowing river”). Drawing profound inspiration from his daughter, Kiyah, Ryan created Vinyasa Yoga for Youth, an innovative non-profit organisation designed to meet the physical, mental and spiritual needs of youth ages 5 – 22 through the empowering practice of yoga. Ryan’s dedication to connecting with his community has also led to his role as an ambassador for lululemon athletica. Ryan is a firm believer that through steady practice and devotion, all people – regardless of age, gender, race or religion – can experience the Oneness of Yoga. Find Ryan on Facebook, Twitter, Instagram and through some pretty rockin’ videos on YouTube. Join Ryan’s Explore Galapagos Retreat March 7 – 14, 2015!